This machine performs moderately at most games, like League of Legends and Minecraft. You could've gotten a way better GPU if you had just spent like 20 dollars more. What would have you recommended? A R7 240 or 250 would be capable of a way better gaming experience :) If you're going the Nvidia route I'd suggest a 730. 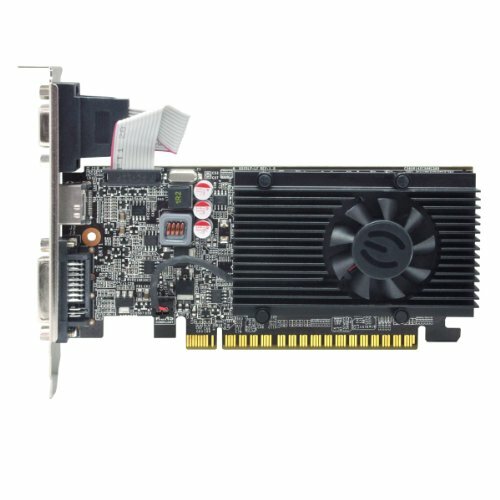 Not the R7 240, it is not worth purchasing for gaming intentions. Yes, an R7 250/R7 250X or a GT 730/GT 740 as long it's under $100 which most are. Though a GTX 750/GTX 750 Ti are optional too but again same idea, purchase it under one hundred or close to it is recommended. Yes, very understandable reason but the R7 240's performance and I should of mention this too, same feeling for the GT 730. Both of their performances are not spectacular when it comes to 3D. They are OK but will most likely deal with a lot of low settings. No matter what you say, that's not a gaming PC. If you put that $50 into a 7850K, you would have a FAR FAR FAR better rig. What do you think of using a 5350 for a small web/SSH server? I agree with you aswell. However when you put in $100 for a GT 610 and a 5350, it could of been used for the 7850k or 7700K which is way better than the gt 610. Agreed, the 610 is a horrible gaming card, and the 5350 isn't exactly quick. Even an A8 7600 would have been better. About $90~100 depending for others though I am not one to go back to the GT 610 again for gaming purposes. Lesson learned in the past. And sure, I agree with you about the quad-core APUs are a better option since that's about a $10~$20 extra if were comparing the processor + GPU: for some of us. Also knowing OP has a 430w so it would have worked out. Though for any first time building, I am not going to discredit OP's efforts. I'm certain they enjoyed the process, no matter what the mistakes were. Note his RAM is only 1600mhz, which will seriously impact the performance of an APU. Not to mention FM2+ boards are far more expensive than AM1. AM1 boards cost as low as £20 ($30) here in the UK, where the cheapest FM2+ board costs almost twice as much. I built this for my friend, who was on an extreme budget, and only plays simple games such as Minecraft and League, I personally don't like video games. Thank you for your suggestions though! Also the res is beneath 1080, I think 720. Are you sure the APU graphics aren't better then the GT 610? I have the GT610 and an i5 4460 (upgrading to a 750ti) and it can't do too muhc gaming, although minecraft is a cpu demanding title, not graphically intensive. It definitely seems as if it is a better card than the APU. I don't know anything about video games, but I do know that there was a noticeable FPS improvement over the APU. I wouldn't upgrade to an R7 370 or GTX 750ti in the future, I think that would be a bit too high end for your Athlon. I'd recommend something like an R7 240 or 250. 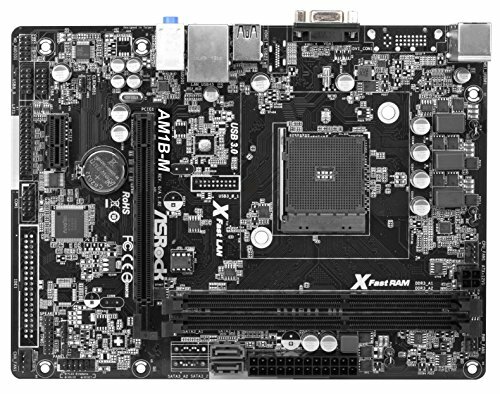 I do like the AM1 platform for low power and very cheap PC builds, never tried gaming though. I use Intel CPUs now. Its nice to see someone with just a bog-standard computer build, sometimes we (especially myself) get tired of seeing killer gaming machines with 980TIs and i7s and X99 and water cooling lol. Yes, it is only compatible with 1333MHz and 1600MHz RAM, single channel. Yet no reason to knock down this particular APU. Goodness sake, it's under 50 dollars... What does one expect? 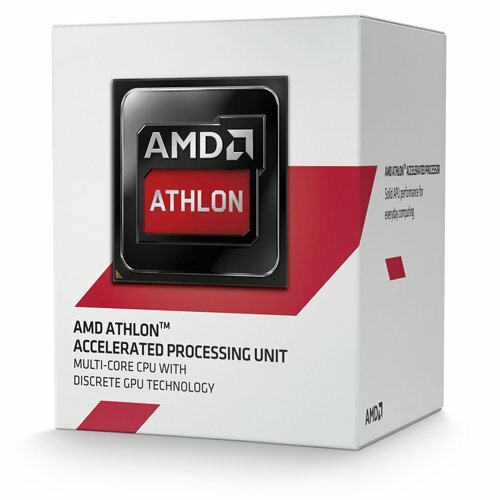 I know you are stating your opinion but no it's not too high end for the Athlon 5350 if OP ever decided to choose one of those. And I wouldn't dare suggest the R7 240, not worth purchasing for gaming intent as I see that no better. An R7 250 or R7 250X are also good options so I agree with that. I'm not knocking down this APU, I understand it is very inexpensive...can you overclock it? Okay, maybe a 750ti is not too high end, but it just doesn't make sense paying $150 for a video card for a $50 CPU......he could get one of them new Skylake Pentiums and a DDR3 motherboard, allowing him great future proofing and the 520 Iris graphics are decent.....I can't really recommend AMD CPUs anymore because of how out of date the architecture is, for example the FX chips, they are very outdated and just don't compare to modern Intel CPUs. Heck, even the most powerful AMD chip, the FX9590, is about the same, if not worse, than an Intel Core i3. And the FX9590 requires very high end motherboards and water cooling because of its high TDP. A Core i3 6100 and a cheap Gigabyte motherboard costs $180, where as an FX9590, decent motherboard, and a water cooler, cost $423.99. Thats a $240 difference! The only advantage the 9590 has over the 6100 is its 8 cores, but the 9590 is essentially an overclocked 8350. The i3 will be much newer, futureproof, upgradeable, and far less expensive. This goes with all intel CPUs (except the price is usually more expensive than the AMD alternative). I recently switched from a FX6300 and a 2011 760G motherboard to a modern i5 4460 and a Z97 and I love it. 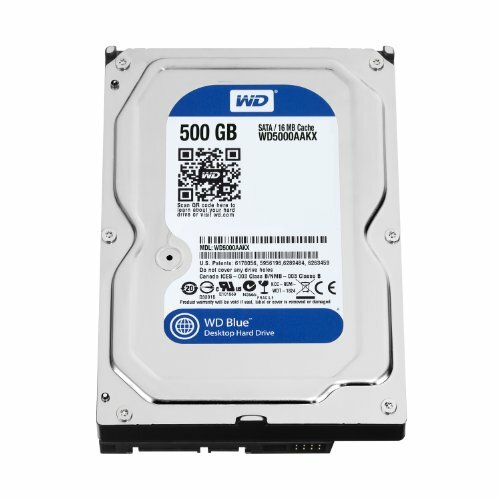 I get SATA 3, UEFI BIOS, M.2, USB 3.0, SATA Express, everything you could ever want..and its not that more expensive than the 6300. I got the impression you were comparing it with a much more expensive processor with intel which is understandable yet the best comparison I can think of is Intel's Celerons. Even those doing better in some sense such are single threads but I test those in gaming as well and did not see it any better. Sort of the same situation but still good starting point processor that can upgrade through Pentium between an i7 when one decides to need something more powerful. Versus the last line of AMD1 which is the 5350. Skylake of course is the Pentium through i7. Unless I am mistaken then my bad, I forgot something. And why yes, the AMD 5350 is overclockable. Is it perfect? No. Even mine is only increased by 0.05GHz @2.1GHz since I am only using a 160w picoPSU but seems a hair better when FORCED then leaving it at AUTO. When someone uses a MicroATX MOBO with a much appropriate PSU, one can get up as high as 2.51~2.53GHz. It's been paired with GTX 750 Ti and yes, sometimes higher not that I would go anymore further up either but it works. I'm not sure where you see it mostly $150, not many left to that price these days unless they did not try to get a good deal. The GTX 750 Tis went down a little by quite sometime now. The GTX 750 Tis can be around $99~ 120 but there's plenty of good 750 Tis that are under $120~100. The Skylake option, was possible but with most Intel that could be an additional $50~ between $100~. Some people do not always see this though and of course this isn't necessary true to everyone, depending where you live. About your recommendation: the DRR3 @ 1.35v would be preferable if so or anything able to use DRR3L. No kidding... It's not an obsolete option for everyone though but when Zen comes out this could change very soon. Mentioning the FX chip here for the example of the architecture was going to be stated for comparison sooner or later it seems. AMD was designed for the budget friendly but realistically the FX chips are quite old. It's not like you will see me suggesting often unless someone was tighten with budget but normally I lean towards Intel myself so not going to compare apples to oranges since it's kind of been noted for years now. Personally, I rather wait for Zen to come out and see. Are the expectations high? * shrugs * We will see. The i3 will be much newer, futureproof, upgradeable, and far less expensive. This goes with all intel CPUs (except the price is usually more expensive than the AMD alternative). I recently switched from a FX6300 and a 2011 760G motherboard to a modern i5 4460 and a Z97 and I love it. I get SATA 3, UEFI BIOS, M.2, USB 3.0, SATA Express, everything you could ever want..and its not that more expensive than the 6300. Futureproof is a word I don't quite believe in and sometimes been misunderstood often. No matter what Intel processor I have used, sooner or later something needs to upgrade. Trying to find something that will last quite sometime, 4~10 years, and not needing to upgrade MOBO+CPU often seems to be the goal for most of us. Don't get me wrong, I love Intel processors myself. No need in convincing me to go with Intel for upgradable paths because it's very understandable. Heck you will see me suggest the G3258 + GTX 750 Ti at times still. Despite what people been saying about the dual-core, there been some recent games that are able to play with an overclocked 4GHz or more with the G3258. So was I. Prices seem different perspective for us. Though I rather compare it with a more related processor. Spending wise, if anyone saw the AM1 with curiosity kills the cat, metaphoric. I only would suggest to keep the build around $300~400 if it's possible but anything less is better. 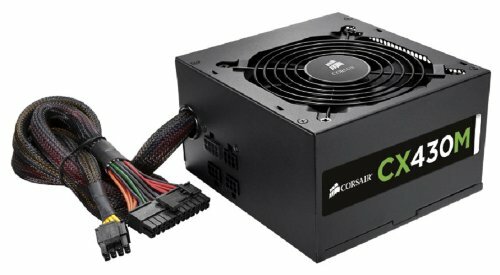 Trying pass $550 means one should as well saved around $600~700 for something of the i3 paired with at least a GTX 750 Ti or GTX 950. Built this for my friend who is on an extreme budget, got him saving up for a GTX 970 Reference.